Is your home exterior in need of some TLC? Britannia Windows are sharing great ways to renovate the outside of your home and make it feel amazing again. After all, it is not just the interior that appreciates some maintenance from time to time. A nicely presented driveway and path to your front door is a very welcoming feature. You can choose from a variety of styles and materials to best suit your home, including gravel, block paving and many more. If you have a garage, then replacing the door or even just giving it a lick of fresh paint will make a big impact on your house’s kerb appeal. Once following a beautifully laid out pathway passed your garage and up to the front of your house, you don’t want there to be a shabby and tired looking door. 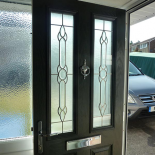 So why not create the perfect entrance to your home with a new composite door. With Britannia Windows, you decide on the style and colour of the door, and the extras such letterboxes and house numbers. If you would like to make your entrance even grander, then you could think about building a porch to flawlessly complement your new front door. This not only looks good but is great for practical reasons as well. 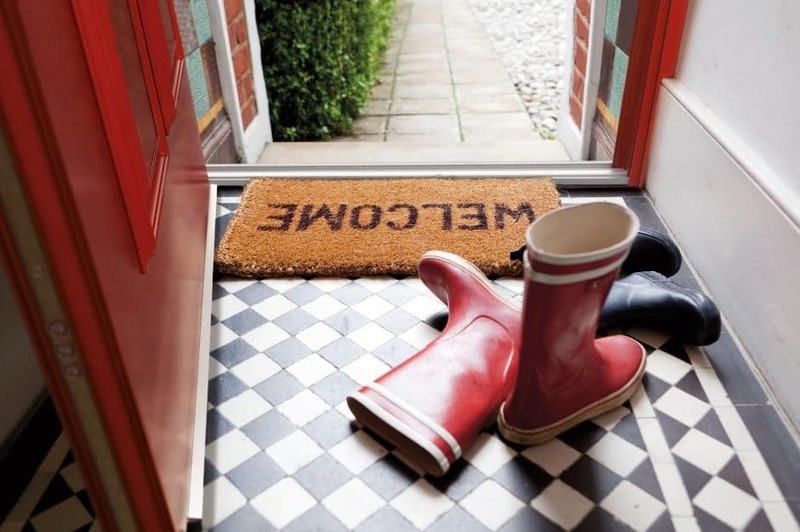 It’s a good place to leave shoes and coats so these don’t clutter up your hallway or living room. If they are damp then leaving them in the porch means you are not bringing moisture into your home, which could cause condensation on your windows. The porch would get enough ventilation to prevent this happening in there. (For more information on condensation, click here). 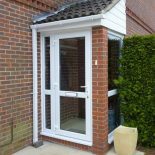 It also adds another layer of security to your home and should improve the efficiency rating because less heat should be able to escape if the inside door remains closed whilst the front door is open. Another way to renovate your home’s exterior is to replace all the windows to modernise it. Not only will this transform the outside of your home, but will also give the interior a make-over as well. 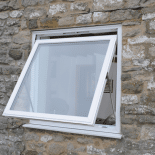 We offer a wide range of windows so there is something to suit every home. Choose between the ever popular casement windows, heritage windows, aluminium windows and many more. For a professional finishing touch that complements your windows and doors, then why not invest in replacing your roof trim and fascias. This is like adding the icing on the cake; it is the finishing touch which will make a considerable difference to the look of your home. 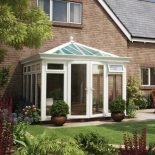 Turning away from the front of your property to focus on the exterior at the back, a conservatory or orangery is a worthwhile investment. It not only looks great from the outside, but it makes a huge impact on the living space of your home. Looking after your garden is a sign of a well-kept home, who wouldn’t want their garden to perfectly complement their new windows and composite door. A nicely kept lawn which is weed free and without overgrown shrubs makes a home look smart and inviting. So, if you are looking to spruce up your home exterior then here are a few steps you can take. Here at Britannia Windows we can help you with your windows, doors and conservatories. Give us a call or pop into one of our showrooms where a member of our team will be happy assist you take that step towards renovating your home.